AED in picture is NOT included. This wall-mounted sleeve offers the most economical and accessible storage for the Powerheart® AED G3 and the Powerheart® AED G5 when using the optional CARRYING CASE. 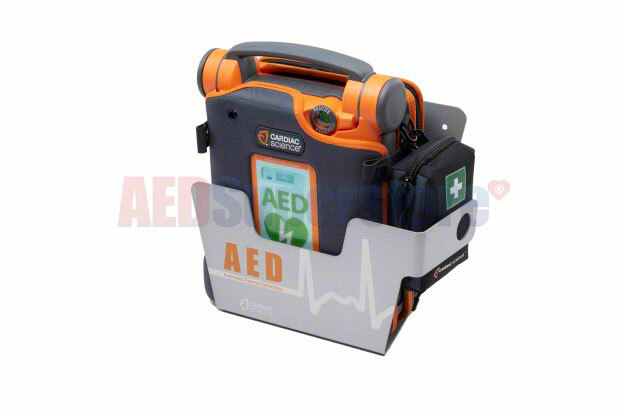 Designed specifically for the Powerheart AED G3, Powerheart AED G5, Powerheart AED G3 PRO, or FirstSave® AED G3. Measures 9" high in the back, 6.5" in the front, 8" wide, and 7" deep.